A team-based shooter that's fluid, fast and occasionally too frustrating. I spent the last few years with my finger clamped firmly on the trigger. In shooter after shooter, I just kept spraying bullets. But now my trigger finger is finally getting a break. It’s not that I don’t have to shoot — as a “soldier,” that’s my main job. But in Brink everyone keeps moving. If I just kept shooting, I’d soon be sending bullets into thin air. So it’s short bursts instead of sustained fire. And that’s fine — it gives me the chance to do my other job. 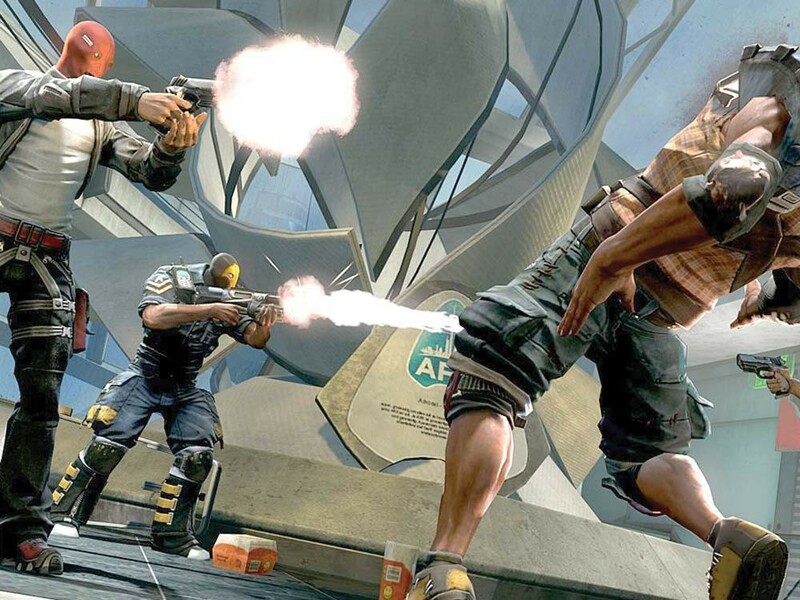 In Brink, aside from shooting, a soldier needs to supply his allies with bullets. But I’m not always in the mood to babysit. So I just walk up to a command terminal and switch jobs. Now I’m an “operative.” Because Brink is essentially a game of “capture the flag,” with various objectives that must either be captured or protected by one of two teams, it’s useful to occasionally infiltrate the other side. As an operative, I can disguise myself as the enemy — though who knows how they can tell, since we all look alike. But it’s still fun to sneak behind enemy lines and recapture resources, or turn on the enemy when they’ve turned their backs on me. If I’d rather assist my team directly, I just need to change mid-battle into a “medic.” Now, instead of continually jockeying for position, I can stay back and assist. Of course I can toss healing syringes to my downed comrades. (Though why I can’t use medicine on myself when I’ve been shot is beyond me.) And my medical training has made me acutely aware of how easy it is for soldiers to be healed. That’s why I always run up to my downed foes and stomp them in their faces before they have a chance to call for help. When it’s time to test my patience instead of my targeting skills, I take on the role of “engineer,” where it’s my job to crouch next to robots and repair them, or build machine gun turrets. These tasks take time, but nobody bothers to stop the battle. So I need to be continually turning around from my work to defend myself. Even with my teammates watching my back, engineering is all about multi-tasking. Which, when I consider how often I swap jobs in Brink, isn’t really a problem. THE GOOD: Brink is a dynamic game in an era when most shooters have become tactical, entrenched battles. To keep things moving, Brink sports an intelligent system of navigation that allows me to automatically flow over, under and across obstacles on the battlefield. This permits the battle to range rapidly through tight quarters and larger battlefields. THE BAD: Brink ratchets the team-based tactics of games like Gears of War up to a frantic pace, making the battle much more exasperating to coordinate. Computer-controlled teammates aren’t the most task-oriented entities, always dashing off to obtain an errant command post or assault a distant foe. And teams of multi-player humans will find themselves quickly fragmented by the game’s rapid-fire pace. THE BOTTOM LINE: Brink is a team-based shooter that’s fluid, fast and occasionally too frustrating.